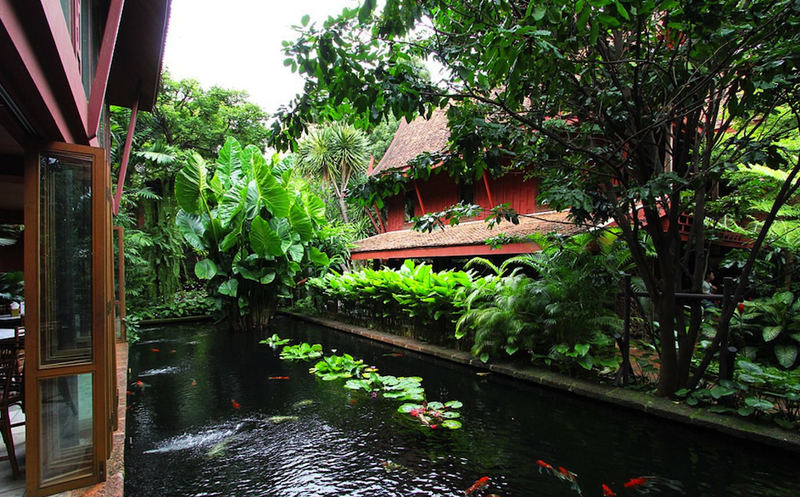 The Jim Thompson House is a museum in Bangkok. 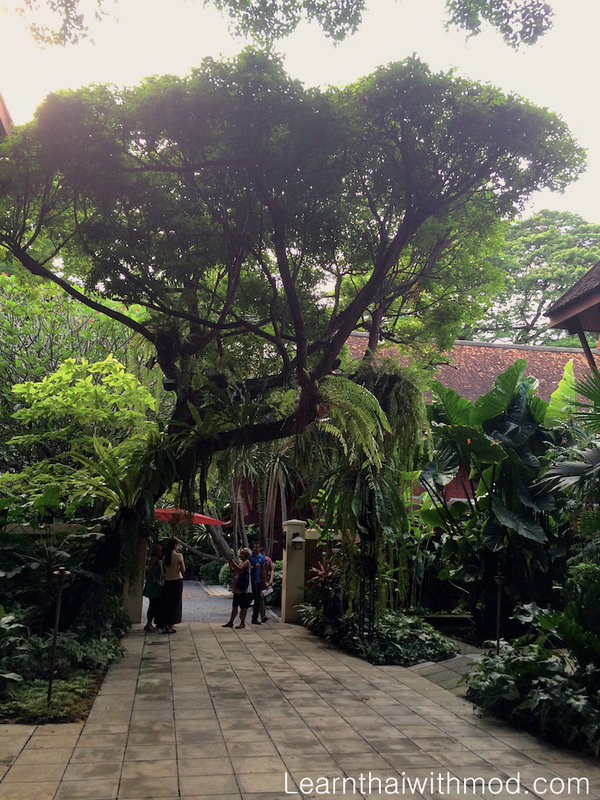 It is a complex of various old Thai structures. It was once the home of James H.W. 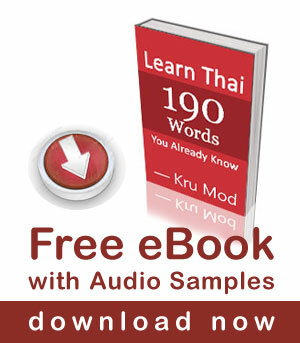 Thompson, a self-made American entrepreneur who was the founder of the world renowned Jim Thompson Thai Silk Company. He collected those houses in from all parts of Thailand in the 1950s and 60s. Thompson’s achievements during his 25 year stay in the Kingdom of Thailand have won him much fame as the “Legendary American of Thailand”. As Thompson was building his silk company, he also became a major collector of Southeast Asian art, which at the time was not well known internationally. He built a large collection of Buddhist and secular art not only from Thailand but from Burma, Cambodia and Laos, frequently travelling to those countries on buying trips. In 1958 he began what was to be the pinnacle of his architectural achievement, a new home to showcase his art collection. Formed from parts of six antique Thai houses, his home (completed in 1959) sits on a klong (canal) across from Bangkrua, where his weavers were then located. Most of the 19th-century houses were dismantled and moved from Ayutthaya, but the largest – a weaver’s house (now the living room) – came from Bangkuar. Today the house itself is a guided tour, that is provided daily to the public, with a small entrance fee for the guide. The grounds have been maintained in the same manner as were originally designed by Mr. Thompson. 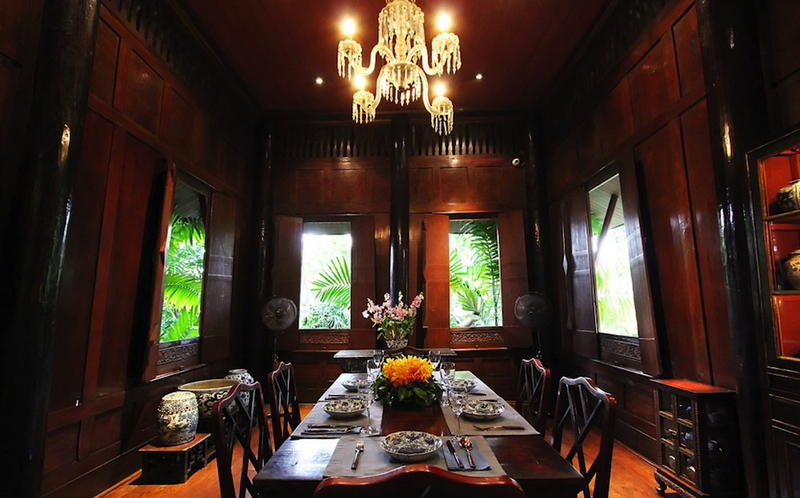 Many features of the house are a combination of traditional Thai architecture combined with western influence’s. The grounds also have a number of service quarters that now serve as museum showcases displaying many of the treasures from Mr. Thompson’s collection. As the filament of the cocoon is too fine for commercial use, three to ten stands are usually reeled at a time to produce the desired diameter of raw silk which is known as “reeled silk”. A special wooden device is used to locate the end of the filament, after which it must be carefully unwound, a process that not only requires hard work over a boiling pot, but also practiced skill to keep the threads unbroken. 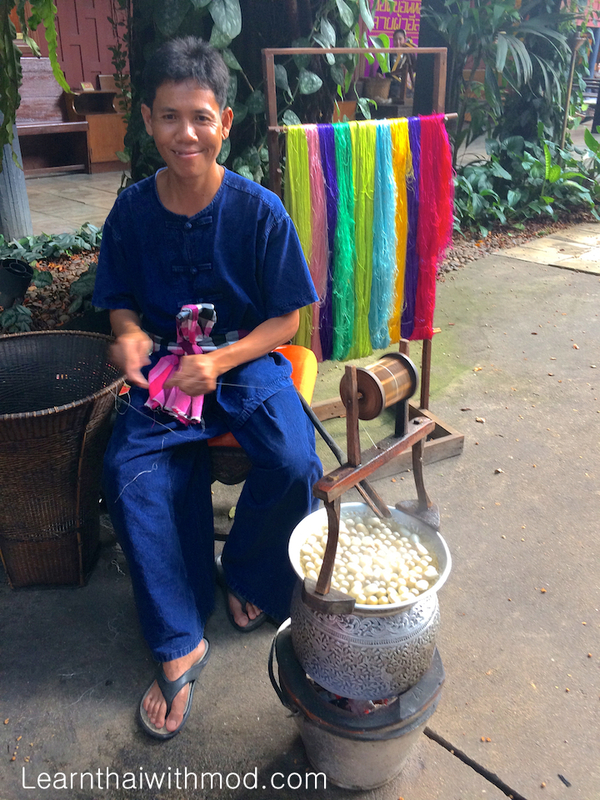 The villager weaver immerses the cocoons in boiling water to help soften the thick gum coating. 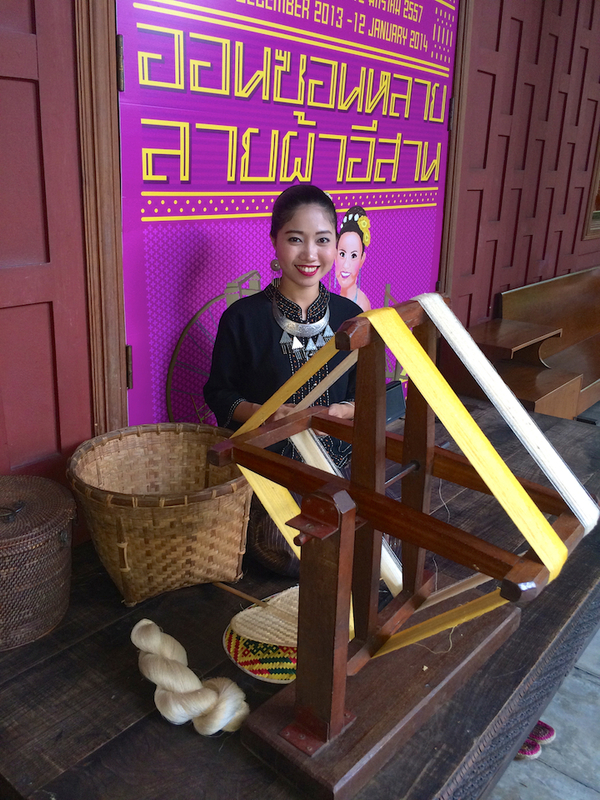 Most steps of traditional silk making in Thailand’s villages in the North-East are done by women and take place in open areas. Raw Silk produced by a coarse spinning process, it is less even and slightly knobbed. Raw Thai silk is quite gummy, sticky substance, so before separating the filaments the cocoons must be softened by immersion in hot water to loosen the gum. 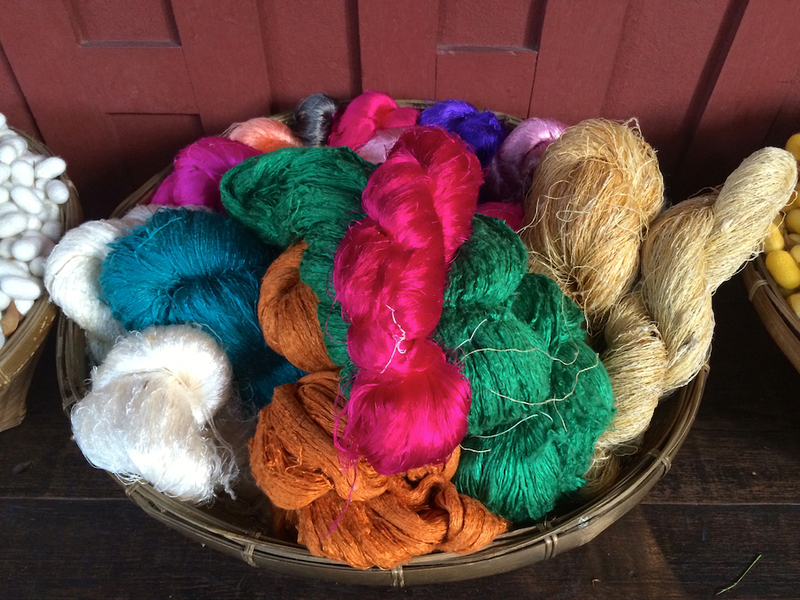 Raw silk is typically a short fiber silk recycled from spinning silk. I went there years ago. A great place to relax in! Informative as ever – Thanks Mod.